Pelican Reef is a real beach house, ideally located on the fringes of Playa Lechi on the water’s edge The center of Kralendijk, Bonaire’s main village, is a short15 minute walk away, as are most of the activities as well as the main restaurants. The house itself, lovingly tucked away in lush tropical greenery, would be best described as casual and intimate. The interior is comfortable and simple: island style with colonial accents and an occasional splash of Caribbean color. There are two bedrooms, both have twin beds. The bedrooms are equipped with A/C and ceiling fans. White 100% cotton bed linen, cozy throws, and cushions. The rooms have screens, but additional mosquito nets are also available should they be needed. The comfortable bathroom has a large step-in shower. 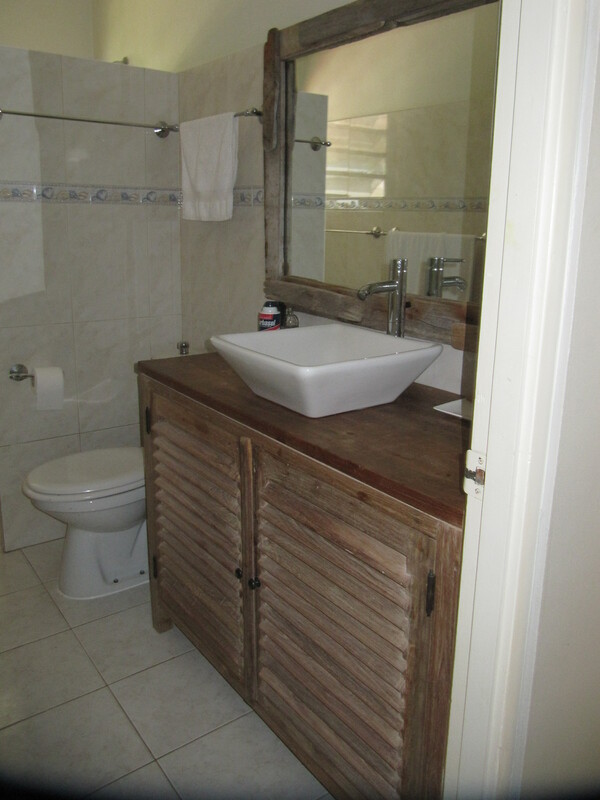 In the cupboard you will find plenty of white towels for indoor use and colorful beach towels for outdoors. There is also an outdoor shower. 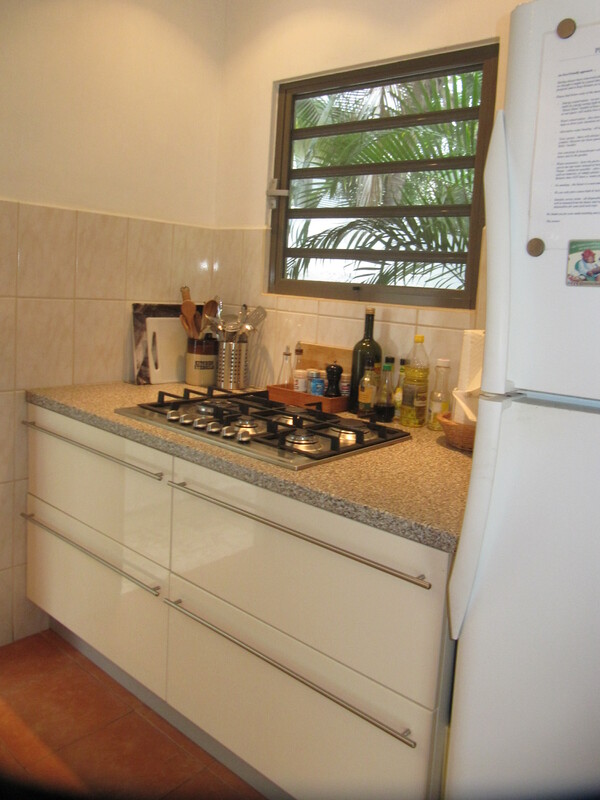 The kitchen is fully equipped with cooking stove, microwave, large fridge and freezer, coffee-maker, blender, toaster, and all necessary glassware, dishes, cutlery, cooking and frying pans. Picnic equipment and coolers are also available. Outside you will find our barbeque, feel free to use it! Furthermore there are quite some lanterns to turn our beach area into a real fairy-tale decor. Pelican Reef is all about easy outdoor living: a constant airy breeze provides the perfect temperature. 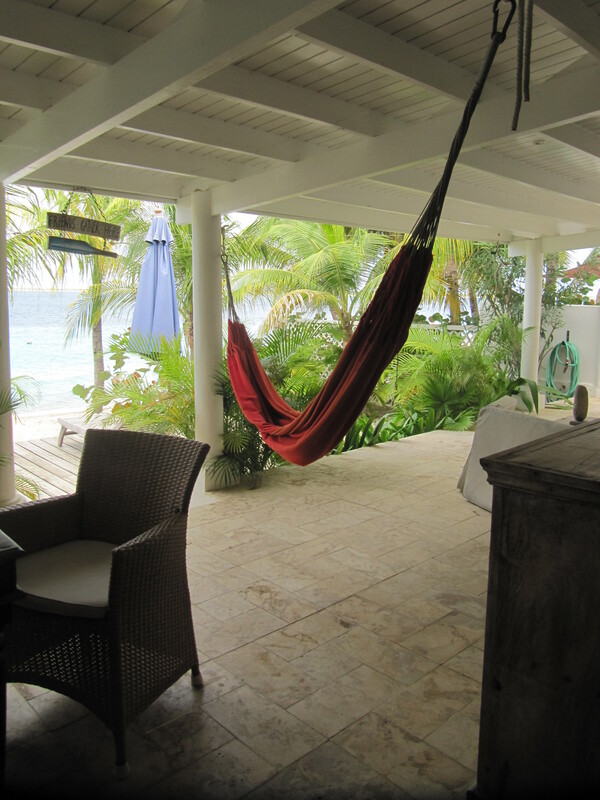 The spacious porch offers plenty of shade, there is a nice sundeck with loungers, deck chairs, and a hammock. Our swim dock allows you to slip straight into the turquoise Caribbean Sea! But the main feature is without any doubt the peace and quiet this house has to offer… with your own private beach to enjoy fantastic sunsets and starry moonlit skies. And for those guests who have difficulty detaching from the “real” world, there is TV and DVD, stereo, a cell phone at your disposal (calls to be paid), wireless Internet access, a growing library with books, magazines, DVD and board games. Ganshi is Pelican’s upscale sister, equally appointed but with a bit more room and little extras. Kindly email ann@bonairecaribbean.com for details.